Join us for an overview of strategy and best practices to build secure applications using SQL Server. SQL Server offers a versatile toolset of security capabilities, which enable you to protect sensitive data and meet stringent compliance requirements. You’ll leave with an understanding of how these capabilities fit together to protect your application as a whole, including the new security enhancements available in the latest version of SQL Server. In this modern era; applications must recover from user errors efficiently, must be optimized for transactional performance, provide real-time insights into app transactions, must be secure and complaint, and support seamless integration to cloud, hybrid scenarios and other data types/systems. These applications must also learn and adapt to deliver more powerful experiences using cloud-based data services, applications, and intelligence. In this session we use a scenario-based hands-on lab program (immersion), to offer you a cohesive and consistent experience to build modern on-premises/cloud based applications with intelligence. Build hack-free, high performance, scalable applications using Microsoft SQL Server, Microsoft ML and Azure data services. It’s SQL Server as you already know it today, but it’s now native to Linux. It works with your data, your favorite tools, application frameworks (Entity Framework) and programming languages. In this session, we pull the code for an application running in cloud to a Linux-based machine. We test and enhance the application for performance (using EF, in-memory) and security against SQL vNext (Linux). Then we re-deploy the changes using DevOps to Azure with just a flip of d, show how the application works across platforms, on-premises, and in the cloud. Best part, all of it will be done in ten minutes. In this session, learn how to use R and Python to perform statistical and machine learning tasks in SQL Server 2017. Also, learn how to operationalize your R or Python scripts using the SQL Server integration. With the on-premises data center evolving into a private cloud, the fast pace of innovation in public clouds, and the strong interest in container technology it begs the question: How do you run a database in this new environment? In this session we examine what it means that SQL Server is evolving to support both Windows and Linux, including running inside a container on both platforms. Should you run SQL Server inside a Docker container? How does it play with orchestration technologies like OpenShift and Kubernetes? The brief answer is that we believe SQL Server should be ubiquitous and run in our customers environment of choice. Come to the session to hear the long answer with a bunch of demos! Learn how to use R scripts from T-SQL to perform training and scoring and leverage parallelism and streaming capabilities to get better performance. Machine learning services in SQL Server 2017 provides Python support for in-database machine learning, now. In this session we show the basics of how to run Python code in SQL Server. We then discuss how any app that can talk to SQL Server can get intelligence from machine learning models running in SQL Server. We showcase an app that uses a Python-based deep learning model built and deployed in SQL Server. The model leverages an open source deep learning framework running with SQL Server and utilizes GPU for boosting model training performance. Learn how SQL Server Data Tools (SSDT) turns Visual Studio into a powerful environment for database development. Easily build, debug, maintain, and refactor databases inside Visual Studio with a declarative model that spans all the phases of database development and easily enables continuous integration and deployment for your databases. Work offline with a database project, or work directly with a connected database instance in Azure SQL Database, Azure SQL Data Warehouse, and SQL Server running on Windows, Linux, or Docker, on-premises or in any cloud. A new, expanded Azure SQL Database offers fully-managed server instance with greater compatibility with SQL Server application features and more, and the ability to move hundreds of databases at once using the Database Migration Service. It provides security isolation with Azure Virtual Network, along with built-in HADR, built-in intelligent performance tuning, and intelligent security services that are already available in Azure SQL Database. To reduce the friction of transitioning your relational database estate to public cloud, expanded Azure SQL Database provides SQL Server application compatibility including commonly used cross database references using three-part names, CLR, SQL Agent, Transactional Replication, Change Data Capture, Service Broker, and a lot more. We showcase a five-step seamless migration experience from your on-premises SQL Server instances to expanded Azure SQL Database using the newly announced Azure Database Migration Service. In this virtual session, you learn how to assess, remediate and migrate the schema, data, and server artifacts from on-premises Oracle instances to Azure SQL DB. We walk you through an end-to-end experience using Azure data migration tools and services to help solve your database migration needs. Join us in this session to learn how to build a global-scale IoT application by walking through a sample application and real-world customer case study. Gain insight on building an IoT application on a fully managed Azure database as a service, with built-in intelligence for performance, cost and security, dynamic scaling and hassle-free HADR, and infrastructure maintenance. We show you how to use Azure SQL Database enterprise grade in-memory engines to handle high volume and high concurrent transactions; while running real-time analytics queries on the same database. New features are released in Azure SQL Database in fast cadence; we show you the new Graph processing in the context of an IoT scenario, Adaptive Query Processing, predictive analytics, and the first in market built-in homomorphic data encryption feature for securing data at rest and in motion. It will be a fun learning hour. Experience the power of building multi-tenant SaaS applications on Azure SQL Database, Microsoft’s fully managed database as a service platform: Using a sample SaaS application, we walk through a series of SaaS-focused design and management patterns that have been distilled from work with a multitude of customers. Patterns spans from multi-tenant provisioning, schema management, performance monitoring and management to operational analytics. The code for the sample application, plus management scripts, ARM templates and tutorials, will be available for download in an easy-to-explore “SaaS-in-a-Box” package, enabling you to jump-start your own SaaS application. Azure Cosmos DB (formerly known as Azure DocumentDB) natively supports multiple APIs; one of which is the API for MongoDB. Use existing code, applications, drivers, and tools to work with Azure Cosmos DB. Benefit from the fully managed and scalable Azure database, while continuing to use familiar skills and tools for MongoDB. Come and watch this video to learn about the feature and how to migrate to this cosmic-scale database, Azure Cosmos DB. Microsoft Azure provides a fully managed NoSQL database service built for fast and predictable performance, high availability, elastic scaling, global distribution, and ease of development. As a schema-free NoSQL database, the service provides rich and familiar SQL query capabilities with consistent low latencies on JSON data - ensuring that 99% of your reads are served under 10 milliseconds and 99% of your writes are served under 15 milliseconds. These unique benefits make it a great fit for web, mobile, gaming, IoT, AI, and many other applications that need seamless scale and global replication. Come and learn about the NoSQL capabilities in Azure Cosmos DB that every developer should know about. Recently, we released the Spark Connector for our distributed NoSQL service – Azure Cosmos DB (formerly known as Azure DocumentDB). By connecting Apache Spark running on top Azure HDInsight to Azure Cosmos DB, you can accelerate your ability to solve fast-moving data science problems and machine learning. The Spark to Azure Cosmos DB connector efficiently exploits the native Cosmos DB managed indexes and enables updateable columns when performing analytics, push-down predicate filtering against fast-changing globally-distributed data, ranging from IoT, data science, and analytics scenarios. 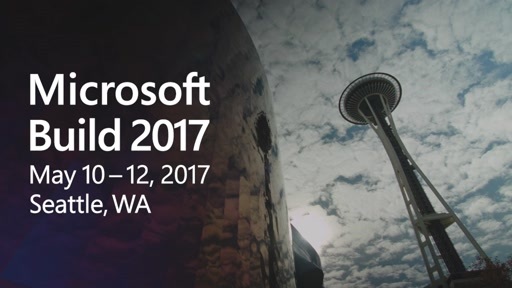 Come learn how you can perform blazing fast planet-scale data processing with Azure Cosmos DB and HDInsight. How to get started with the new Azure DBMS for PostgreSQL. 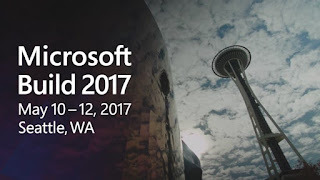 Join this session to learn about Microsoft’s latest announcement of managed PostgreSQL database on Azure. In this breakout, we will learn from two early adopting customers, how they've leveraged this latest database service to innovate faster. We will learn from their experience of using the managed PostgreSQL service, including migrating to the service, and discuss next steps in their application journey. We will walk through some of the key service features and discuss how you as a developer can migrate your existing applications or develop new applications that use this managed PostgreSQL in Azure. If you’re a developer with applications that use PostgreSQL today, whether on-premises or cloud, and want to learn about how this new managed service can help, this session is for you! How to get started with the new Azure DBMS for MySQL. Join this session to learn about Microsoft’s managed MySQL offering in Azure. We’ll walk through Microsoft’s strategy for supporting Open-Source database systems in Azure and what it means to you as a developer as you look to develop or deploy applications that use MySQL in Azure. An overview of the architecture of the service along with how Azure Database for MySQL is integrated with other Azure Services such as Web Apps will also be discussed and demo’d. If you’re a developer with applications using MySQL today, whether on-prem or already in Azure today, this session is for you! The cloud is truly becoming the “brain” for our connected planet. You’re not just running algorithms in the cloud, rather you’re connecting that with data from sensors from around the world. By bringing data into the cloud, you can integrate all of the information, apply machine learning and AI on top of that, and deliver apps that are continuously learning and evolving in the cloud. Consequently, the devices and applications connected to cloud are learning and becoming increasingly intelligent. Please join us on a journey through the core new patterns that are emerging as we bring advanced intelligence, the cloud, IoT, and big data together. In this session, learn how you can use Azure Data Lake (ADL) for doing Big Cognition on raw customer support data. Learn how you can use ADL to perform key phrase extraction, sentiment analysis, and how you can use R/Python scripts for support volume forecasting. In addition, learn how you can use federated queries in ADL with Azure SQL Database. Discover how you can pull all these insights into an Azure SQL Data Warehouse, and using Azure Analysis Services to enable interactive analysis of the processed data. Join us for this exciting session as we show how you can develop intelligent applications by using the insights derived from processing massive Petabyte-scale datasets. One of U-SQL’s major strengths is to scale out user code over your large data lake assets. This presentation first shows how we have used the U-SQL extensibility model to give you access to Python and R and then shows how to run Scala from within U-SQL.